Tom’s Vans – Your Local Man with a Van Service. 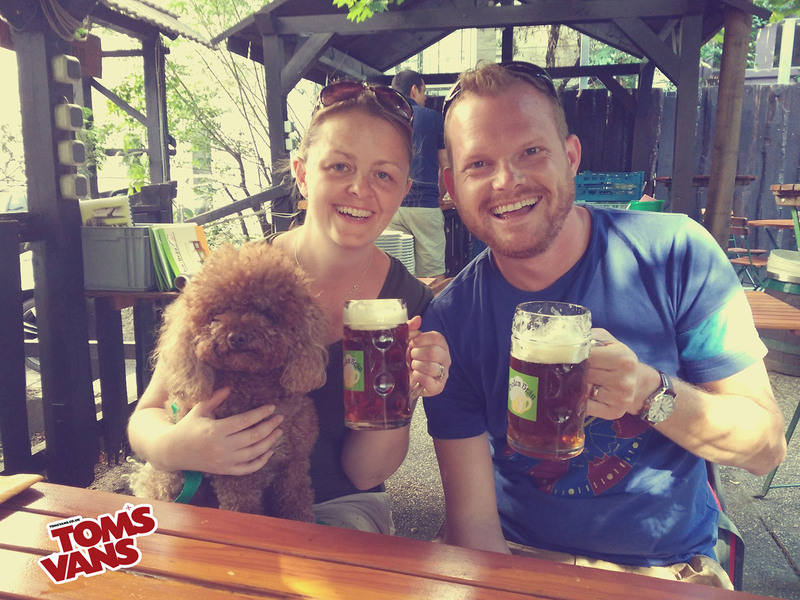 I recently moved this lovely couple to Vienna last month and they just sent me this picture of them settling in! If you need to move house and want a reliable and friendly removal team then look no further. With amazing feedback, loads of repeat customers and a fantastic local reputation try Tom’s Vans Removals. Give me a call for a friendly chat. My name is Tom and I set up Tom’s Vans – Your Local Man with a Van in 2010 in Brighton & Hove. We offer house removals or for smaller moves try our reliable and affordable Man and Van Service. How do I choose a reliable Man with a Van service? Since 2010 we have gained a fantastic local reputation and we are extremely proud of our 100% positive feedback. If you are moving house then get in touch for a quote, and you’ll see why customers keep coming back to us. It is not just house moves that we do – we pick up and deliver all sorts of weird and wonderful things for our eclectic customer base! We are trusted by local businesses to deliver a reliable and affordable delivery service. We also love assisting with Office Moves, locally and nationally. All our Brighton removals vehicles are equipped with everything to make the move go smoothly; blankets, straps, mattress covers on request and lots of tools. To me my staff are everything and I choose employees who are a really lovely, reliable and charming. Please remember to take a look at my reviews online! This entry was posted in Brighton removals, man and van brighton, Man and Van Bristol, Man and Van Hove, man and van worthing, Man With Van Brighton, small removals brighton, Uncategorized and tagged brighton removals, man and van brighton, man and van hove, man and van sussex, man and van worthing, man with van brighton, movers and packers, removals company brighton, small removals brighton. Bookmark the permalink.